Installing rectangular duct work requires care. 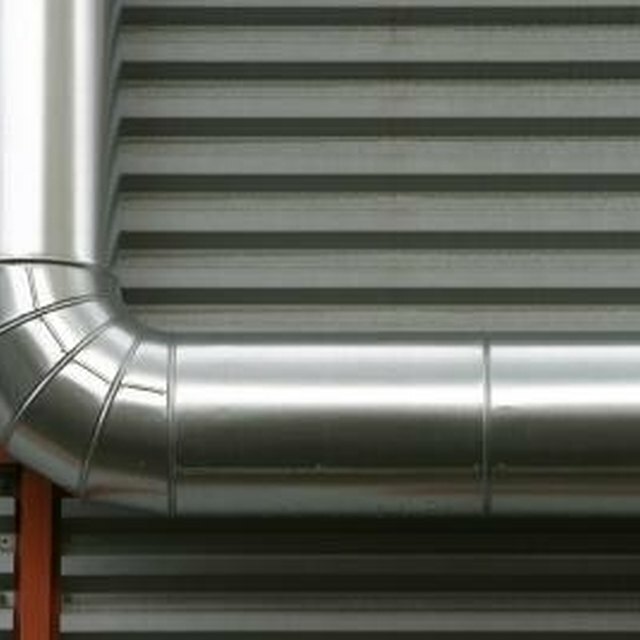 Care must be taken to ensure the duct sections are properly joined together in order to have a strong and efficient system that is free of those expensive air leaks. Joining rectangular ductwork requires alot of work and patience. Put the two "L" shaped pieces that comprise the duct section together. The "L" shaped pieces have channels on the long sides. The top and bottom end edges are straight and the sides have U-channels. Stand one "L" up on its straight edge. Pick the other "L" up to the top of the first "L", connecting the side channels and pushing down to form a rectangular section. Slide the two S-hooks onto the two straight edges of the rectangles. The S-hooks are bars formed like a "Z". The S-hooks run the length of the straight edges, and the "Z" shape creates opposing edges for joining rectangular duct sections. Place a second section of duct next to the first section. Slide the straight edges of the second section into the channels of the S-hooks on the first section. Place a drive cleat at the top of the U-channels, which are now side by side. Engage the channels and push down. Use the hammer to tap the drive cleat on. If the edges of the U-channels have been dinged or bent, take the screwdriver and bend them back before continuing with this task. The drive cleat should extend approximately one or two inches above and below the U-channels. Repeat this process on the other side of the duct section. Bend the excess portions of the drive cleats that stick above and below the duct work, by tapping them with the hammer. Tapping of the excess portions of the drive cleats should be done until the ends are laying down flat on the duct. This will lock all pieces in place. Tape all seams with duct tape, as this will seal all leaks. Always use caution when handling sheet metal, as the edges are sharp and cutting yourself is easy to do.